It’s about time to be looking for this year’s red dress. You know they say it’s bad form to wear the same dress two years in a row. We were able to give just over $169,000 to 73 local charities from the 2015 Red Dress. That is only possible thanks to all of you who registered and partied with us FOR New Orleans. Red Dress 2016 will be on August 13th (always the second Saturday} and registration will be open on April 1st. 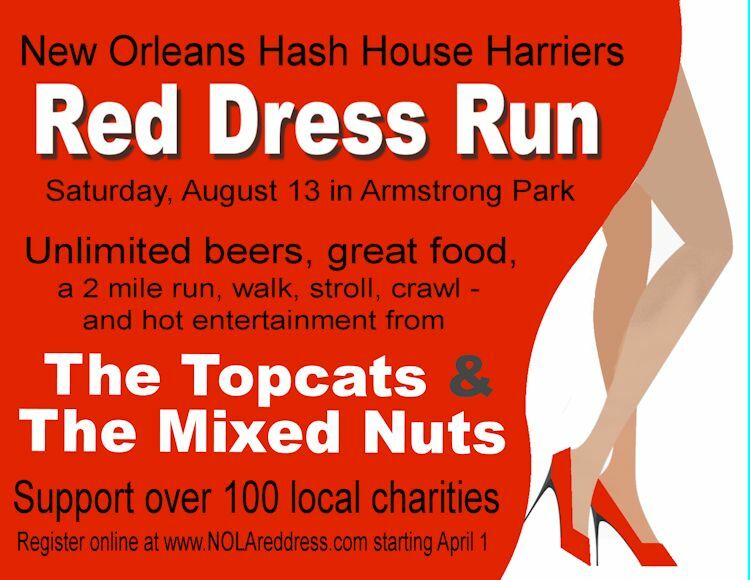 If you would like to know more about the New Orleans Hash House Harriers and hashing in the area, we suggest that you check us out at NOH3.com. Come hash with us. They provide an open beer bar, great food, a 2 mile run through the city, live music, and, this year, will support over 100 local charities. Register here. 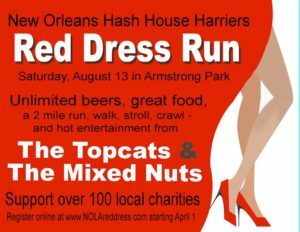 This entry was posted in events, rdr and tagged louisiana, new orleans, red dress run on 2016-06-08 by treed.